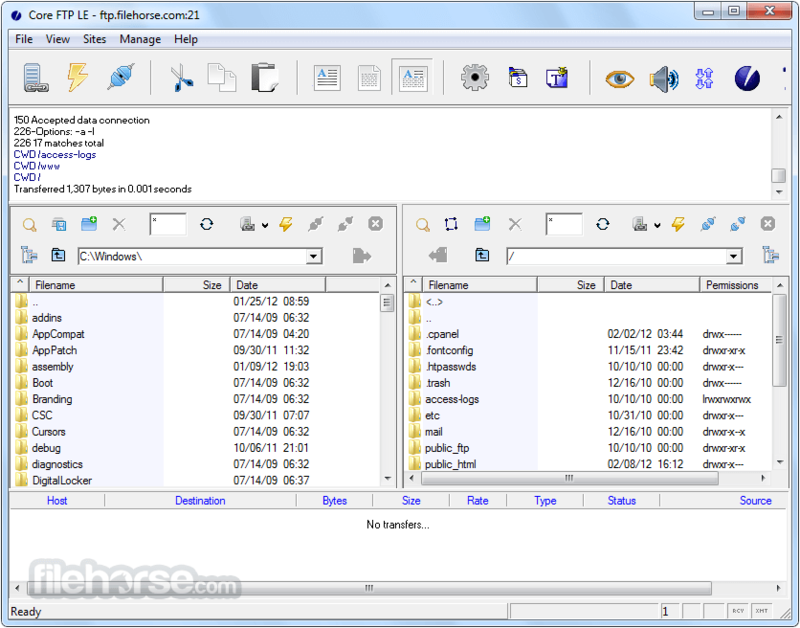 Core FTP LE is a free FTP Client software for Windows based systems. Secure FTP client software that includes SFTP (SSH), SSL, TLS, IDN, browser integration, site to site transfers, FTP transfer resume, drag and drop support, file viewing & editing, firewall support, custom commands, FTP URL parsing, command line transfers, and more. 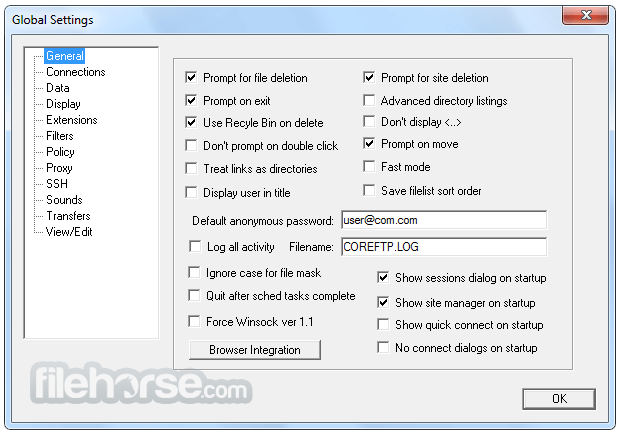 Core FTP client software for Windows gives you a fast, easy, reliable way to update and maintain your web pages via FTP. It also provides a secure method (via SSL, TLS, or SFTP) to upload and download files from FTP servers. Check out the list of features and you'll find almost every feature you need, all in a free ftp program. There are no popup ads, advertising or spyware and you're never asked or reminded to register.